Ladybug symbolizes joy, trust, luck, protection, love, and happiness. Ladybug brings you the message to listen to your heart. It’s time to let everyone see how brightly you shine and to share your creativity with others. Your willingness to express your true colors keeps you safe and repels all those who don’t resonate with you. All the resources and knowledge you need resides within you. Bring forth your joy because fear cannot exist amongst happiness. Receive Guide Cards in the mail each month and get access to exclusive videos and temporary cosmic animal tattoos. Use the Wild Messengers Alchemical Tarot Card Deck to guide your intuitive readings. Featuring 80 of my Cosmic Animal Paintings. Through my visual mediation practice, I can journey with cosmic animals to bring back wisdom and symbolism from the animals who most want to connect with you at this time. Personalized readings just for you! 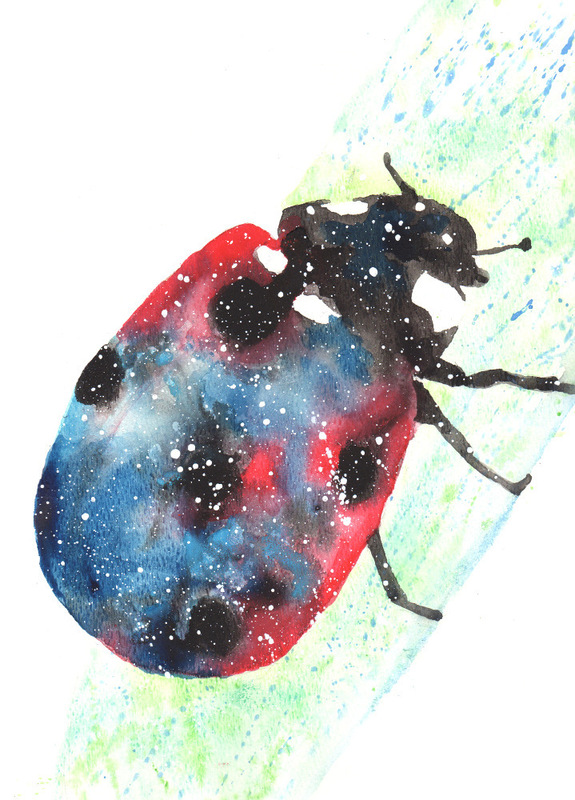 I want to hear about your Ladybug experiences. What stories or dreams have you had? Please share and join in the conversation below!